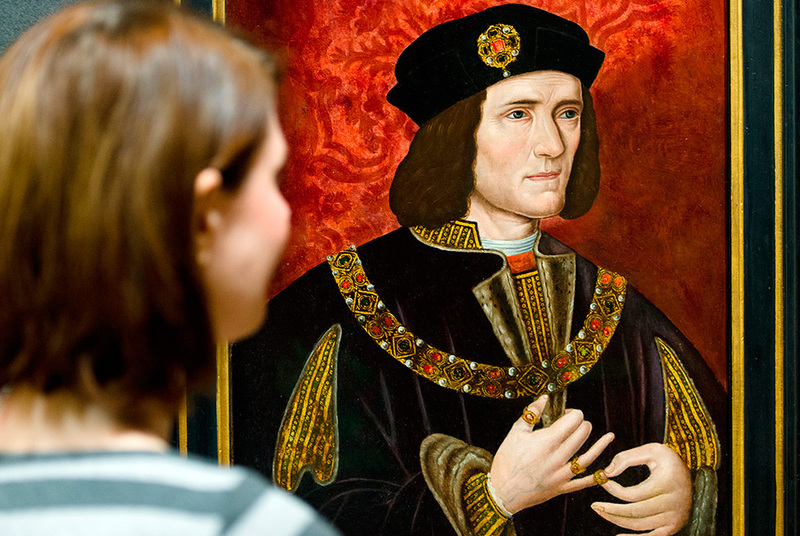 A file picture taken on January 25, 2013 shows a painting of medieval English king Richard III by an unknown artist displayed in the National Portrait Gallery in central London. AFP PHOTO/Leon Neal. LONDON (AFP).- The remains of English king Richard III will be reburied at Leicester Cathedral in March 2015 following a week of events honouring the infamous monarch, the University of Leicester announced on Thursday.